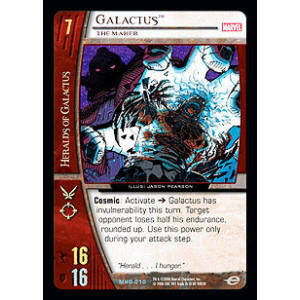 Cosmic: Activate >>> Galactus has invulnerability this turn. Target opponent loses half his endurance, rounded up. Use this power only during your attack step.